One of India’s largest business event, E-Summit is the flagship event conducted by E-Cell, IIT Bombay. 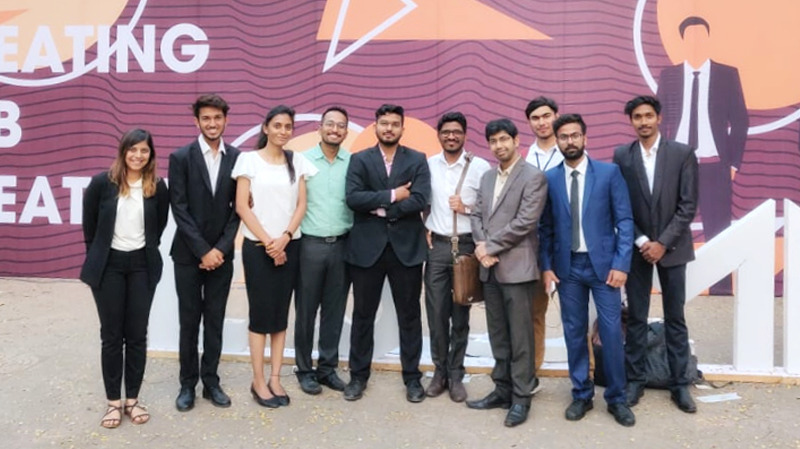 A conclave of competitions, workshops, panel discussions and speeches from the biggest names in the world of business, it gives students invaluable insights for their future. We at IISM are proud to have this opportunity of being a part of this event and having Mr. Amitava Pal, Associate Dean, Chair Research Committee & Chairperson, IEDC (Innovation & Entrepreneurship Development Centre) as an erudite speaker for the event. It was a honour to have him conduct a specialised session on “Sports Entrepreneurship” at IIT Bombay. Some of eminent speakers at the event were : Shri Suresh Prabhu (Minister of Commerce & Industry and Civil Aviation of Government of India) ; Ahmed El Sheikh (President and CEO of PepsiCo India) ; Madhukar Parekh (Chairman of Pidilite Industries) ; T Suvarna Raju (Former chairman and Managing Director of Hindustan Aeronautics Limited) ; R S Sodh (Managing Director of Amul); Naveen Jindal ( An Indian industrialist and a former Member of Parliament) ; Niranjan Hiranandani ( Co-founder and managing director of Hiranandani Group) ; Kris Gopalakrishnan (Chairman of Axilor Ventures, a company supporting and funding startups and co-founder of Infosys) ; Sanjay Katkar (CTO and Co-founder of Quick Heal) ; Gururaj Deshpande (Co-founder of Deshpande Foundation), amongst others. It gives us immense pride to extend this opportunity to our students exclusively and have them witness this event up close and personal. It’s opportunities like these that helps them shape a better future.